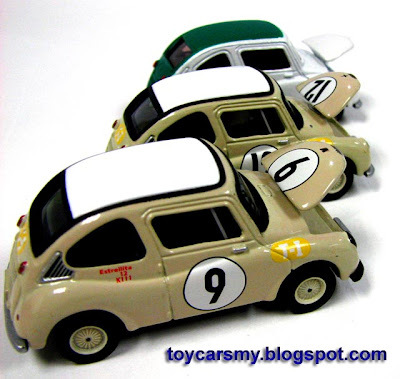 These are my Subaru 360 collection so far. 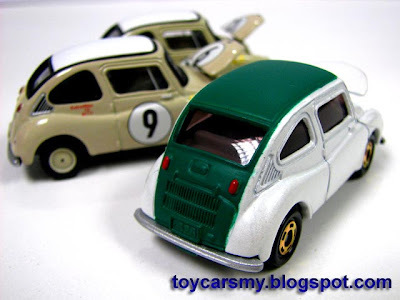 2 from Tomica Limited and the green top from Lottery series. 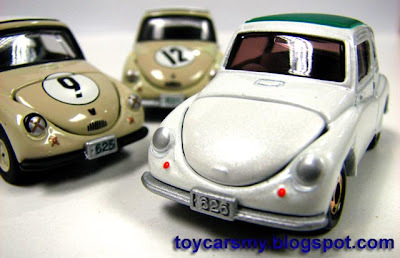 I love this model of it classic rounded shape, below is some background of Subaru 360. 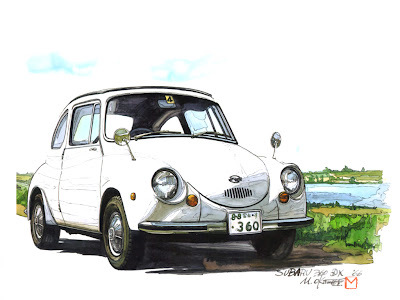 The 360 was produced from 1958 to 1971, was the first automobile mass produced by Fuji Heavy Industries' Subaru division. The 360 featured an air-cooled, 2-stroke 356 cc engine mounted transversely at the rear. While this was one of the more notable cars which adopted an arrangement similar to the Volkswagen Beetle, the car is much smaller, less powerful, and was not nearly as well accepted in the world marketplace. When introduced in 1958, the 360's engine turned out 16 hp (12 kW) and Subaru claimed 66 mpg fuel economy; by the end of production, power had increased to 25 hp (19 kW) with a 36 hp (27 kW) twin-carbureted engine as an option. 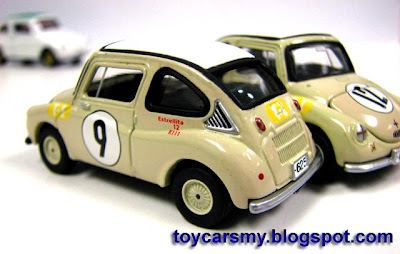 In the 2000s, the 360 remains a popular subject for collectors, and model cars among other mini-cars such as the 2CV and Morris Mini. Although it was primarily popular in Japan, it was not entirely forgotten even in markets such as the US. It was one of the smallest cars to attract a significant following from the 1960s to early 1970s.